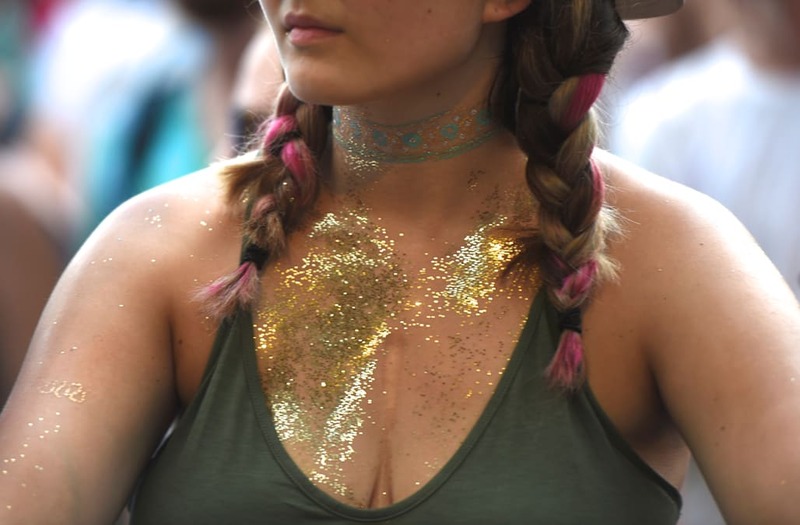 Environmental scientists are calling for a worldwide ban on glitter. Scientists are arguing that the commonly used arts and craft supplies, which are made of small plastic particles have been getting into the ocean where animals then consume it. The Independent reports that these scientists are stating that the risk of ocean pollution is too great. In a study, Professor Richard Thompson found that plastic particles were discovered in about one-third of the fish caught in the United Kingdom. Scientists at New Zealand’s Massey University also agreed that glitter is a microplastic and because of that should be banned. According to CBS Philly, seven states in the US have enacted legislation restricting microbeads use and sale of certain health and beauty products. Doctor Gustavo Zuniga holds up an Antarctic plant that has molecules that filter the solar radiation and could be used to prevent human DNA damage in Santiago, Chile July 25, 2017. Doctor Gustavo Zuniga inspects a cold chamber containing Antarctic plant that have molecules that filter the solar radiation and could be used to prevent human DNA damage in Santiago, Chile July 25, 2017. Doctor Gustavo Zuniga inspects a cold chamber containing Antarctic plants that have molecules that filter the solar radiation and could be used to prevent human DNA damage in Santiago, Chile July 25, 2017. Doctor Gustavo Zuniga holds up extract from an Antarctic plant that has molecules that filter the solar radiation and could be used to prevent human DNA damage in Santiago, Chile July 25, 2017.